Superior Concrete Tiny Houses is a pioneering leader in building beautiful tiny homes and other structures that are bold in design and appearance using steel frame and durable reinforced decorative precast concrete. Engineered and constructed from the highest quality materials, Superior’s Original Concrete Tiny House Co. builds superbly crafted homes and cabins that are strong, attractive and built to last. 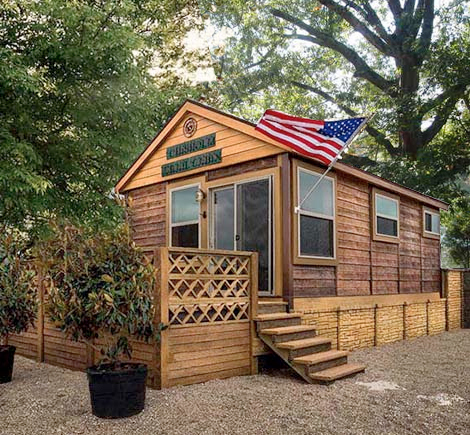 Constructed out of durable fiber and steel-reinforced modular precast concrete panels, a Superior Tiny Home can be built faster and easier than masonry or wood structures. 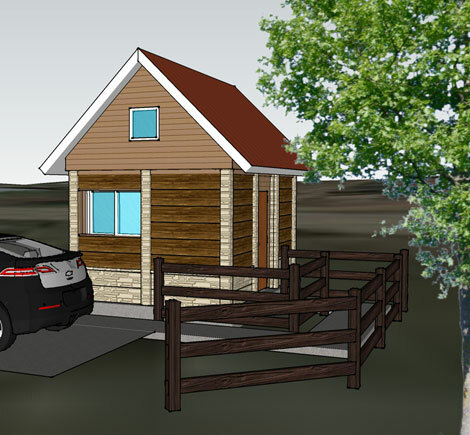 Depending on the size of the tiny home and the building requirements of the owner, a Superior Tiny House also offers foundation options. Our concrete tiny homes can be built on a conventional concrete foundation, a steel frame or a trailer with wheels for homeowners who enjoy the freedom of packing up and moving from time-to-time. Built with the latest energy-efficient design features, each Original Concrete Tiny House Co. home options include LED lighting, a ceiling fan, mini-split HVAC system, high-efficiency DECRA steel roof, added insulation, low-e windows, energy-saving appliances and fixtures to ensure minimal utility usage. 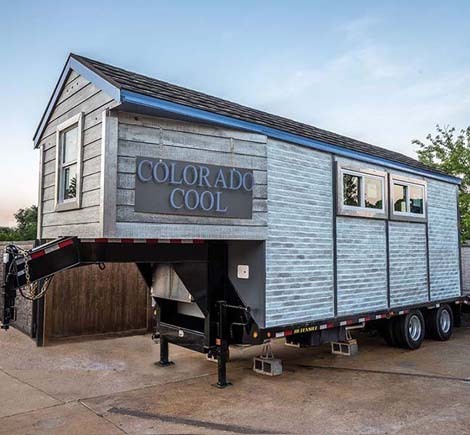 A Superior Concrete Tiny Home offers design flexibility, giving homeowners the ability to use conventional utility connections or free-standing RV-style electrical hook-ups. Plumbing alternatives include home-style bathroom fixtures or holding tanks for fresh and grey water. Homeowners in remote areas can choose from camper, convection or composting type toilets. Always on the cutting-edge of design, The Superior Original Concrete Tiny House Co. is at work developing a tiny home that makes use of solar electricity for homeowners that want to utilize green energy. 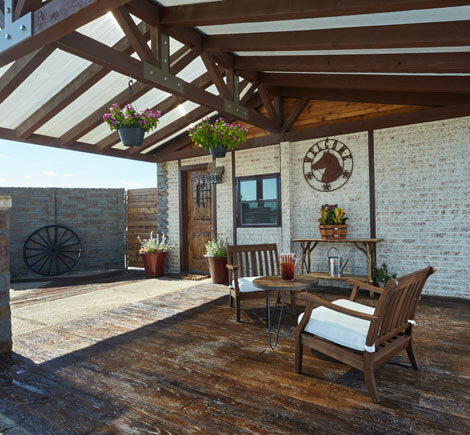 Regardless of your lifestyle, Superior gives homeowners the ability to design a home that can be adapted for on or off-the-grid living. The Original Concrete Tiny House Co., strives to make use of green building practices. 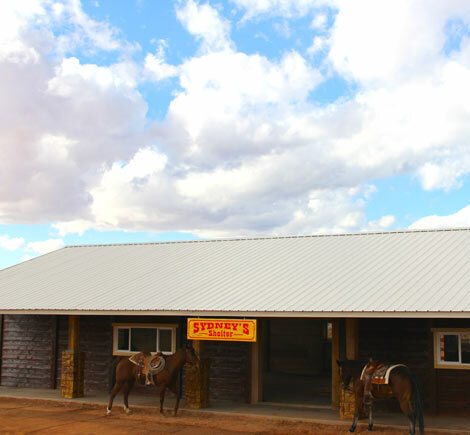 Superior recycles building materials and uses sustainable construction and manufacturing methods to give people who live in a Superior Concrete Tiny House a home that uses less energy than similar structures. Made with solid precast concrete, Superior homes are energy-efficient and have a built-in noise reduction feature that is unique among tiny home builders. 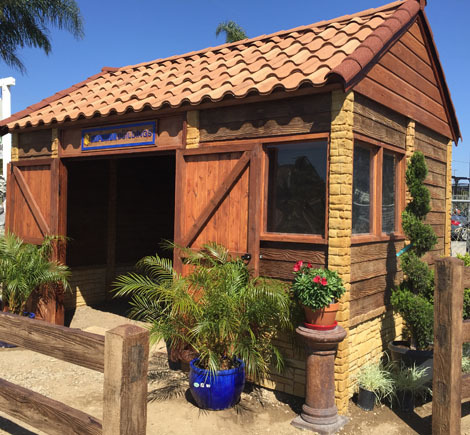 Our tiny homes can be built out of panels that duplicate the natural appearance of wood, stucco, brick or stone which gives owners a variety of design options. So, whether you are looking for a man-cave, meditation suite, artist studio, compact home office, private guest room, she-shed, granny pod, grandparent’s getaway, in-law quarters, parent apartment, hunting shelter, lake house, country retreat, portable tailgate trailer, mini game-room, playhouse, clubhouse, caretaker cottage, getaway cabin, extra living space or a portable addition to your home or property, The Original Concrete Tiny House Co. has a design to fit your needs.